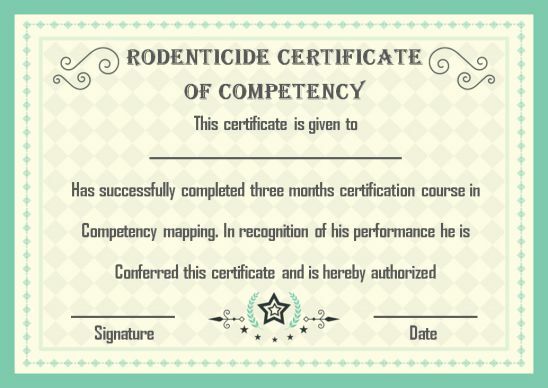 When you want a certificate of competency template to apply for any government-related approval, then you have stopped by the right place. 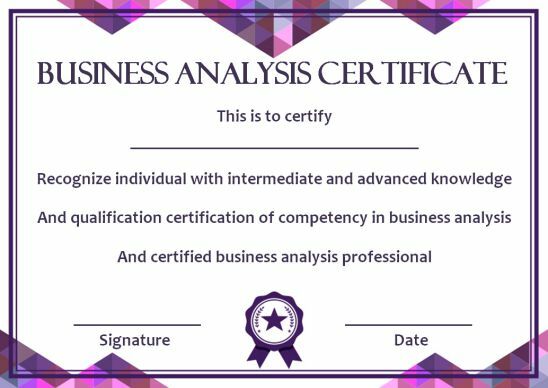 We will provide you with a free certificate of competency template and also help you understand the details about this document. First, let’s explain about what is a certificate of competency. Next will let you know the places where it is used, and also will let you know how it is made. 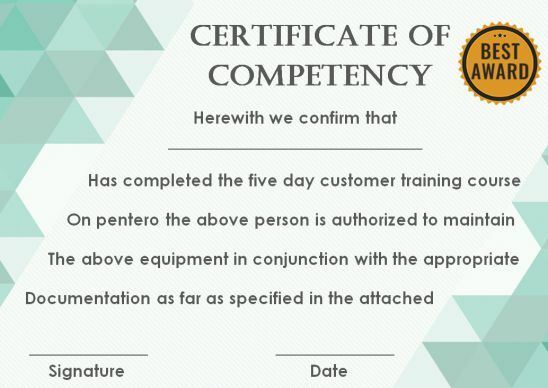 Finally, we will provide you with numerous downloadable certificate of competency template in word, excel, and PDF. Let’s deep dive into all finer details. 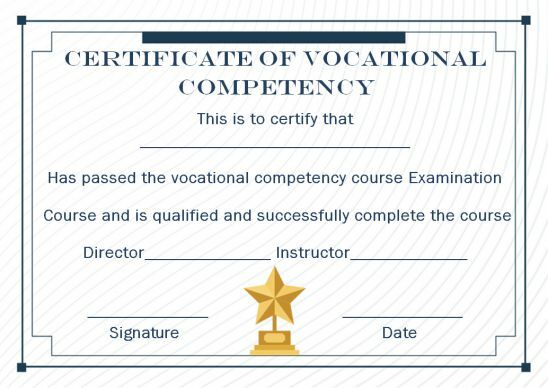 Yes, in general terms certificate of competency means, a certificate issued to appreciate, acknowledge, or identify a person who has completed a particular work successfully. 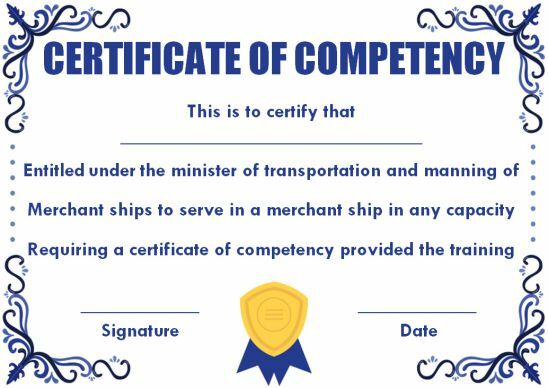 To be more precise, it is a certificate awarded to people who complete training and qualify as a boat driver, marine manager, seamen, Yachtmaster, and much more. Any field requires employing individual with competency. Therefore per the government norms, the SBA Small Business Administration is authorized to identify the right talent and issue the certificate. You can use these templates in case you have a training institute and train individual qualify for the government projects. Even as a person you can download this and apply to an SBA with your qualification to get certified and apply for a specific job. 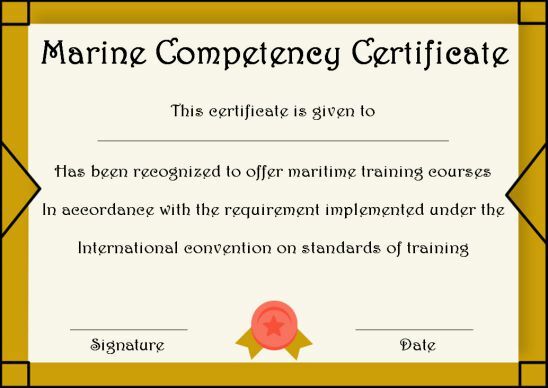 This certificate is used when you apply for an international license marine position. It is called an ICC in short and is issued to confirm that the person is eligible to level mentioned by the United (U) Nations (N) Economic (E) Commission (C). This is to certify that the individual has completed the boating training offered per Europe inland water organization. 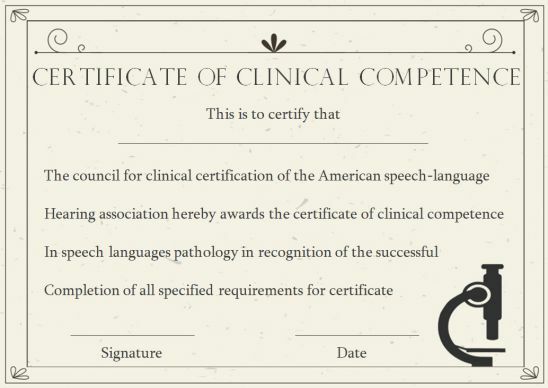 If you are looking for a certificate of competency in Audiology or Speech-language pathology, then here you go. 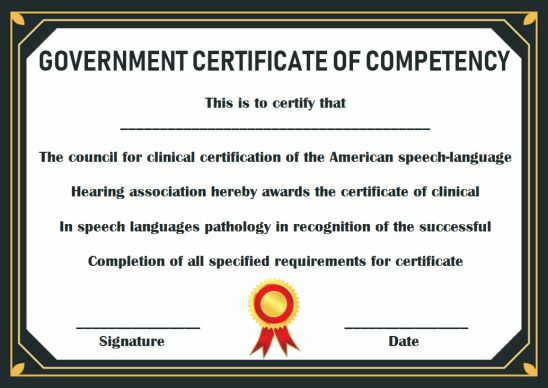 Download this certificate that meets the specification written by the American Speech Language Hearing Association. Per the South African Police Service, one must obtain a firearm competency certificate as a license to use your firearm. 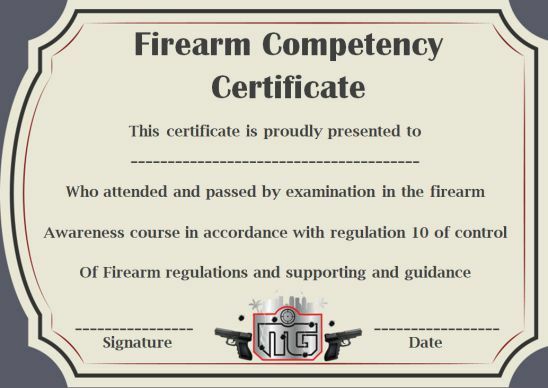 Each and every firearm possessed by an individual should have this certificate. 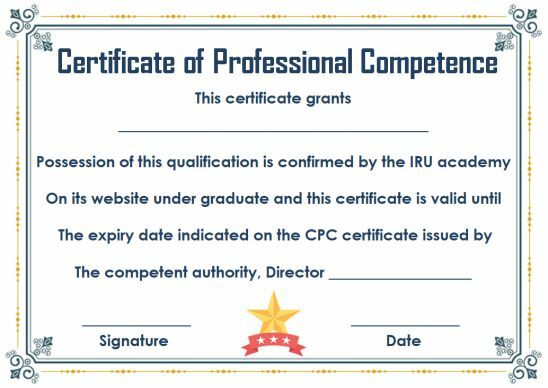 Use this certificate when you look for a government authorized competency certificate. You can get this approved by the SBA. Remember to read the rules mentioned and only when you duly qualify to go ahead and download this template. 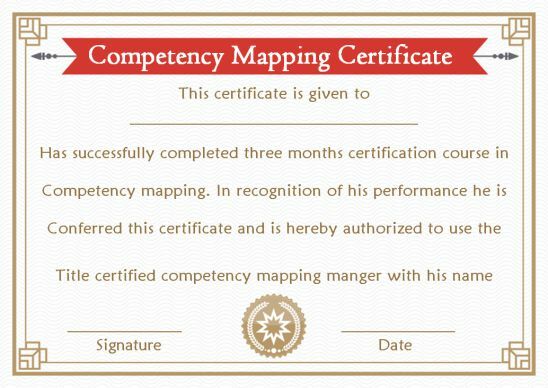 The competency mapping program is offered to the human resource professionals who must possess the skill map professionals to the right work area. This HR professional should undergo training and obtain the mapping certificate to qualify for the job role. 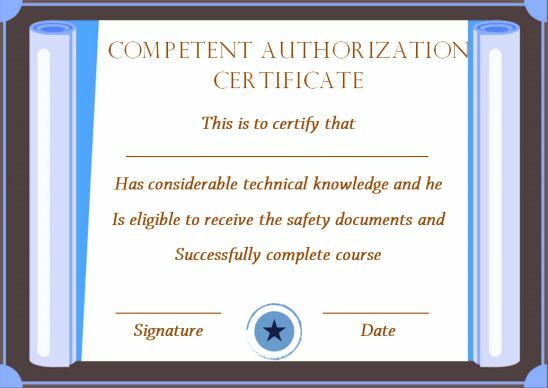 Use this Liberian certificate of competency to receive a Liberian Seafarer’s License Certificate or Endorsement. Submit this to the Liberian license department RLM-105 with the help of the filing agent and get certified to sail on the Liberian vessel you chose for. Remember to download this and fill your details and include the copy of the national passport and send it across for approval. For all those who aspire to be an accredited private or public pest controller, then you need to obtain approval for the same. The CRRU Campaign for Responsible Rodenticide Use has given specifications on the safe pesticides. Apply to them after completing the specified training and get an approval certification. If you are providing training to people for handling motor or sailing boat or you are an individual with skills in driving motor or sailing boat, then you need to obtain the Yachtmaster certificate. 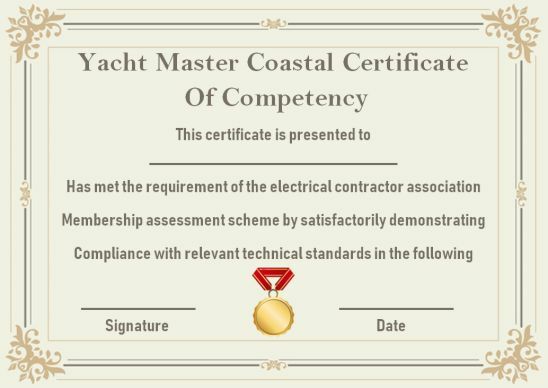 This coastal certificate of competency will allow you to drive the boat for commercial purposes. 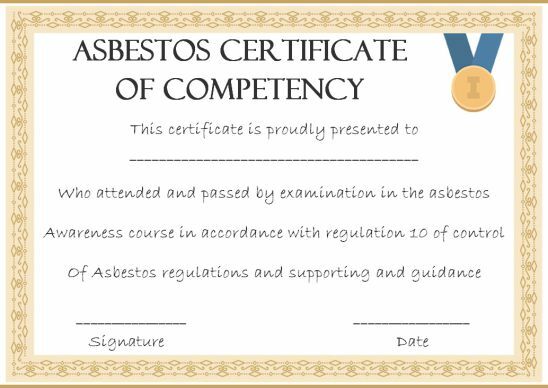 Asbestos qualification or the training program is offered for the analyst, assessor, surveyors, building managers etc. Upon getting trained in the asbestos program can allow all to work in a healthy working environment. The program will cover all topics related to controlling the health risk while sailing. For all the professional competence one qualifies can make use of this certificate of professional competence. Professional competence certificate authenticates you to work as a driver or a transport manager. Mainly these are for underwater jobs. 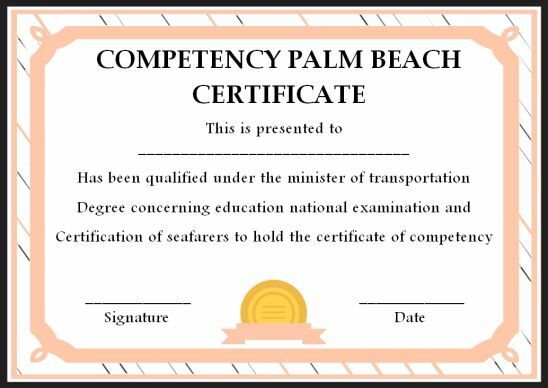 The Certificate Of Competency Marine certification will qualify that the individual is a professional to handle vehicles in the marine business. 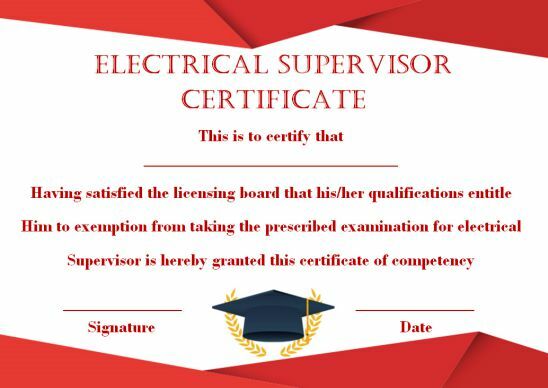 Everyone who desire to work in the ship or in the marine industry as a wireman helper, or any in an electrical division like Certificate Of Competency As Electrical Supervisor etc then they need the skill. 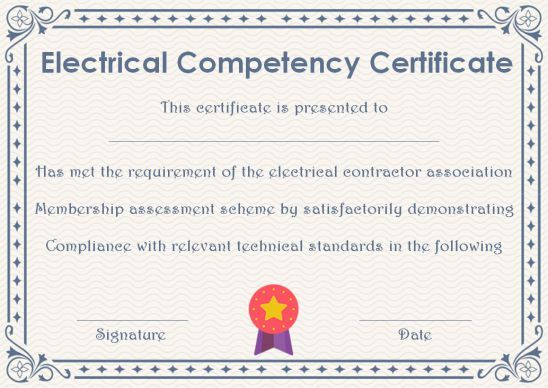 The electrical competency certificate awarded to them will confirm this qualification. 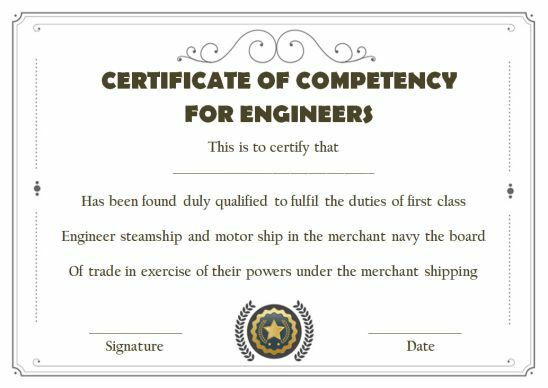 Even you can download the Certificate Of Competency For Engineers if you are an engineer and that will help you get a posting per your education. 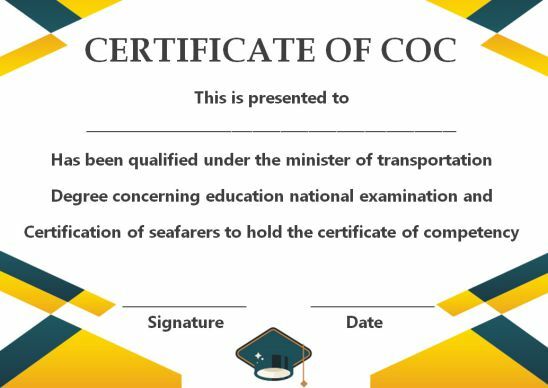 All the seafarers who want to work on the ship should have a CoC for seamen. 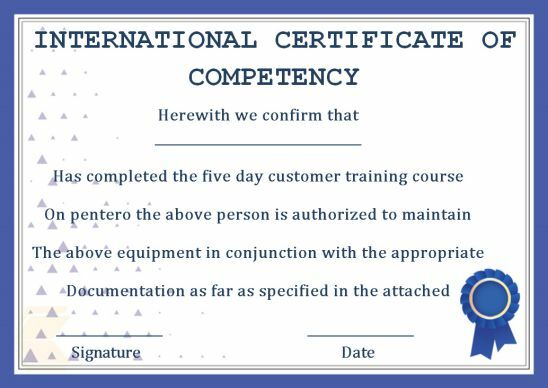 This certificate given here complies to the international standards of training and once you possess the skill download this certificate and get it approved. Each and every career based competency certificate can be downloaded from this page. There are certificates with different titles. You can choose the font size, wordings and personalize to your need. Per government norms, there is a 35-hour training program. Upon completing the same one is eligible to apply for the certificate through SBA. SBA will verify all the details and approve the certificate. This certificate must be renewed periodically based on the type of job you perform. Most of the time, it requires to be renewed if you have worked for 12 months in 5 yrs as the respective officer. Sometimes it must be renewed when you worked for 3 months in 6 months duration. Check for the qualifying details for renewal based on the area of specialization you are into. It is always well known that any certificate is a prestigious document that helps us to apply for a job, higher studies or promotion. Likewise, this document also carried value. It is also significant that the certificate of competency document qualifies to work in the ship, under the water and similar government projects. It is a must to have a certificate that will speak for you and your skills. You can get these certificates only after completing the course, training or on the job experience and hence it carries more weight than the usual certificates. 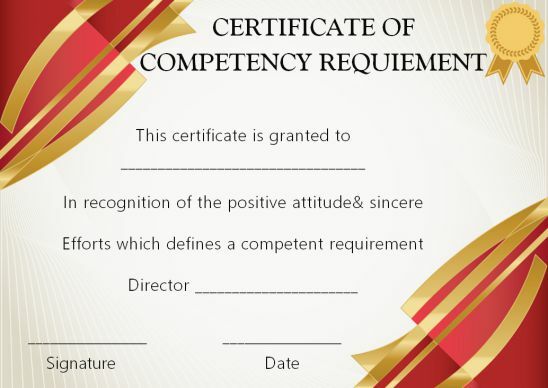 It is not very difficult to design a competency certificate. However, since it needs to be approved by the SBA and only then it is a valid government document, we suggest you download the template given here. These are carefully collected from different sources and vetted following the government guidelines and hence we recommend you to download from here. 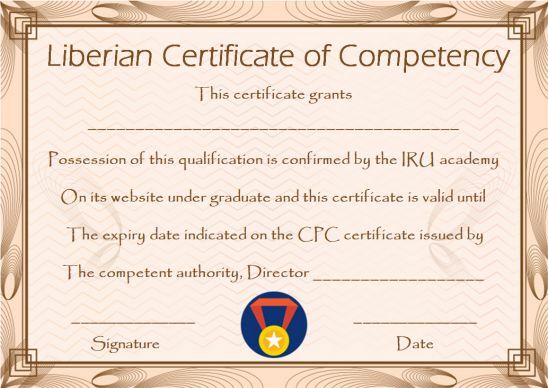 We understand that you wonder as to why you should then know about how to make a certificate. Well, it is because you need to edit the document with few details and submit for approval. For doing that you need to know about the basics of the document and the crucial elements present in it. This will let you edit and make appropriate changes. Then you need to have the logo. It is a must as this document is created per government guidelines and the logo of the board must be mentioned to verify authenticity. Here it is given a board of trade. Next, mention the purpose for which the certificate is issued. It is here written as “Extra Master” of a foreign going steamship. Likewise, it could be a marine manager, seamen, national license for driving a boat etc. You can quickly make changes here by editing the template once you download in your system. Open it in word and start editing by double-clicking on the respective place. The certificate becomes incomplete with this section as the name of the person who qualifies to get the certificate must be written. This will only approve the credit for that person. So make sure you edit here and fill in the correct name and check to spell before saving. In the beginning, a just a mention of the honor was given under the section purpose and here you can explain about the training, and how does the recipient gets qualified. This part will further attest the role of the recipient in the job. It elaborates the course and certification details. Another important section is the date when the certificate was issued. This will help the recipient for applying a renewal in future. He/she will know that the certificate is valid from the date of issuance and hence this date must be the latest date when the certificate is planned to be issued. Finally, the authorized signatory must be provided. Without the signature, the document stands invalid under government rules and regulations. It is a good practice to mention the signing authority designation and name under the sign to make it a legal document. Now, you know what these components are for and also aware where you need to edit and use the template given for you for you for free. In case you want to design one on your own, then you can use these guidelines and make each section to complete a legal competency certificate.